The new Facebook feature ‘Places,’ is designed to share the location of posters. It lets other know where you are, which can be useful if you want to find friends, and frightening, when used by a stalker or others with ill intent. Disturbingly, ‘Places’ debuted on Wednesday with its capabilities turned on, not off. This means that until you take steps to stop it, your privacy (and your children’s privacy) is compromised. And—like other new features in Facebook that have drawn recent complaints, it is not simple and straightforward to turn it off. This is what you can do to disable it. 2. 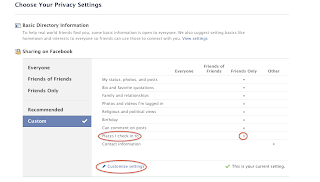 Click on the ‘Accounts’ drop-down menu in the upper right-hand corner of your screen and choose ‘Privacy Settings.’ You will see ‘Places’ towards the end of the list and a dot in the ‘Friends Only’ column. 3. 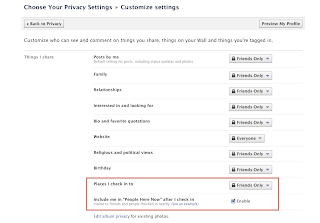 Below the list of settings, click ‘Customize settings.’ It is shown circled in red in the screenshot just above. 4. You will then see a screen with two settings that you can change (in the rectangle on the screenshot below). First, disable the lower one, by unchecking the ‘Enable’ box. 5. 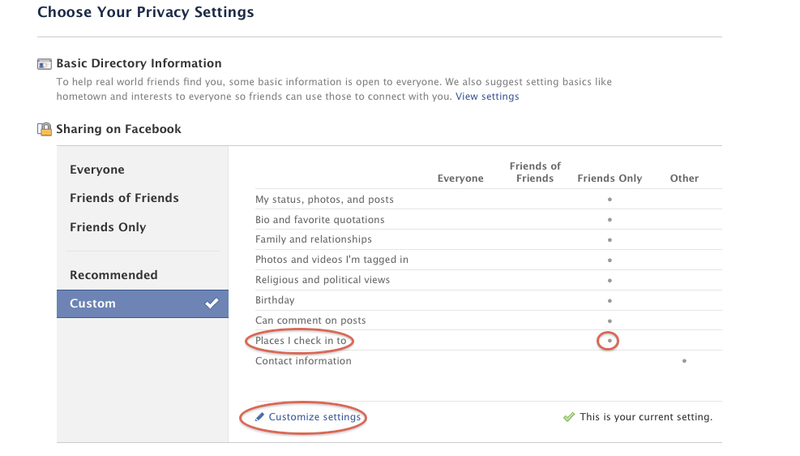 Next, click on the drop-down menu that says ‘Friends Only’ and choose ‘Customize.’ You will see the ‘Custom Privacy’ setting box shown in the screenshot below. On the drop-down menu, select ‘Only Me,” and click the ‘Save Setting’ button. 6. This will take you back to the screen shown below 4. above. 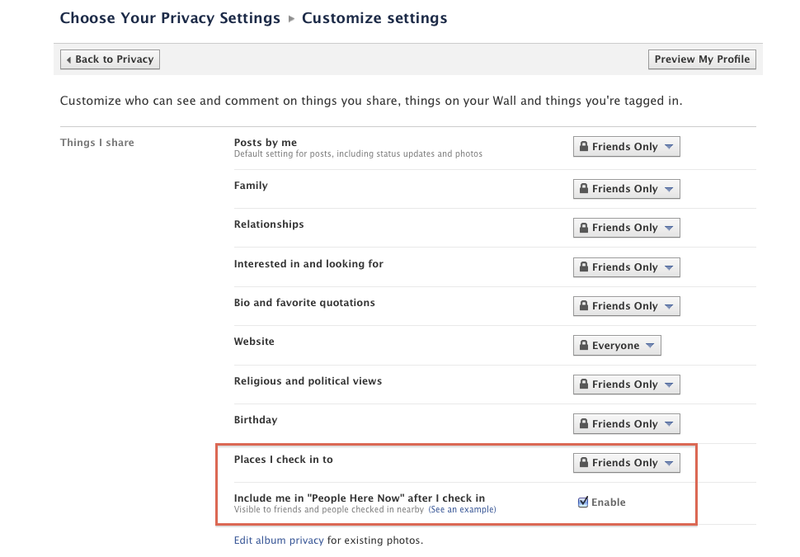 At the left of the gray bar towards the top of the screenshot, you will see a button called ‘Back to Privacy’ with a back arrow. Click it and verify that the dot shown under ‘Friends Only’ in the screenshot under 2. above has been moved to the ‘Other’ column. Your location is now private. This entry was posted in Uncategorized and tagged facebook, online safety, privacy on August 20, 2010 by admin. For the past several months, online safety has been in the news, primarily in relation to Facebook, a social networking site that many young people—as well as adults and businesses—use, and not for a good reason. Facebook has made a number of product changes, as well as had a security flaw, that have dealt blows to user privacy and security. 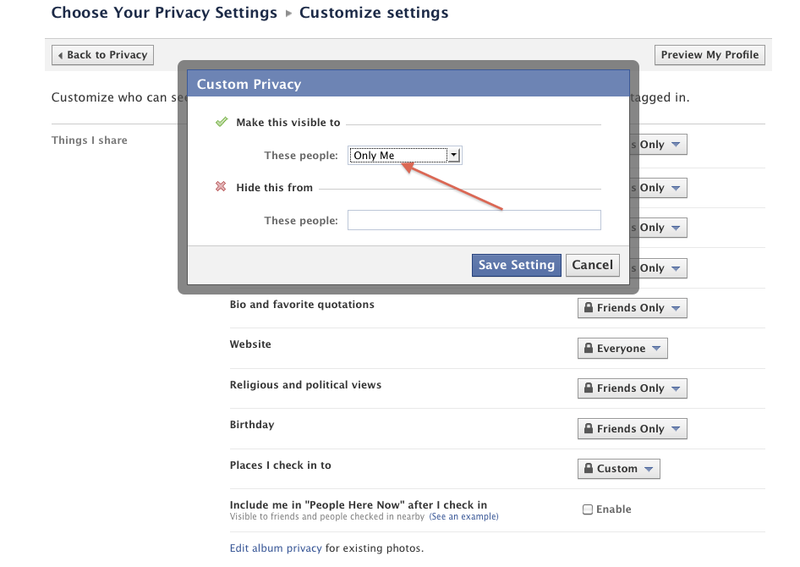 These include changes to the default privacy settings, as well as changes to how users’ profile information is disclosed to others. With charges that these changes ““violate user expectations, diminish user privacy, and contradict Facebook’s own representations,” Marc Rotenberg, executive director of the Electronic Privacy Information Center (EPIC) filed a complaint against Facebook with the Federal Trade Commission (FTC) on May 5, 2010. Fourteen other consumer advocacy groups joined in the complaint. Besides Facebook, Formspring.me, a newer social networking site started in November 2009, has also made the news this week. The site is based on “honest” answers to users’ questions—answers that are allowed to be made anonymously. This translates as gossip and insults, mainly pertaining to appearance, intelligence, popularity, and sexuality. In other words, the site seems to sanction cyberbullying. The suicide in March, 2010 of Alexis Pilkington of Long Island followed the receipt of many cruel messages on Formspring. Apparently, many tweens and teens have been joining without their parents’ realizing. There are 28 million visits each month, half of those from US members. It is not known what percentage of visits (or members) are under 18. 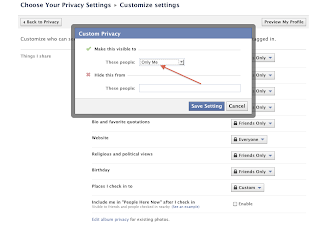 • Do an online search on “facebook privacy settings” and share your findings with family members, friends, relatives, and colleagues. • For more on cyberbullying and other kinds of bullying, read “School Bullying” on Educationbug’s sister site, BullyingStatistics.org. This entry was posted in Uncategorized and tagged cyberbullying, online safety, privacy on May 7, 2010 by admin.